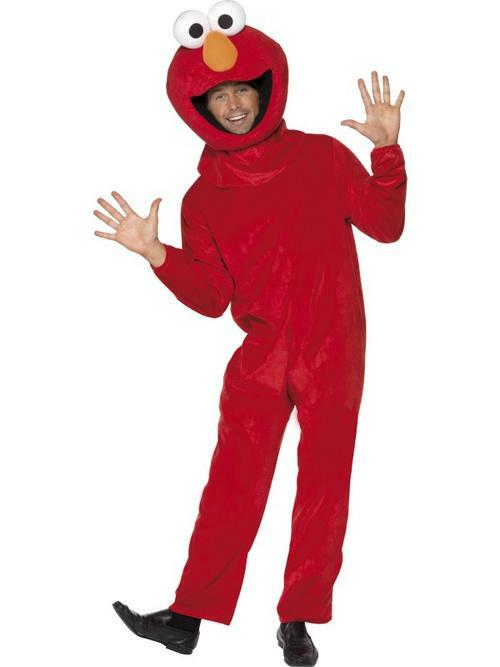 Elmo has been one of the most prominent characters in Sesame Street since 1985 and ever since has captured the hearts of the young and old. 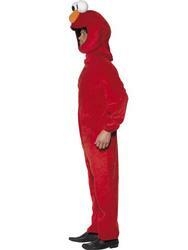 Due to his huge popularity and instantly recognisable image Elmo is a very popular choice for Fancy Dress costume. This Sesame Street Officially licensed Elmo fancy dress costume contains everything perfect for transforming you into the loveable little red monster and consists of a bright red, plush jumpsuit and a matching plush headpiece which sports Elmo's eyes, nose and mouth which is cut out to allow for you to see whilst wearing the Elmo costume. Before you know it people will be stopping you in the street trying to tickle you! 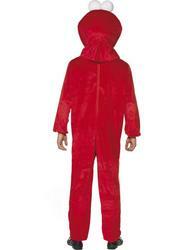 Perfect for any fancy dress party especially when worn with Friends also wearing Sesame street fancy dress costumes. Why not convince a friend to wear a Big Bird or Cookie Monster costume alongside you ?